A land of staggering natural beauty and cultural complexities, of dynamic megacities and hill-tribe villages, Vietnam is both exotic and compelling. 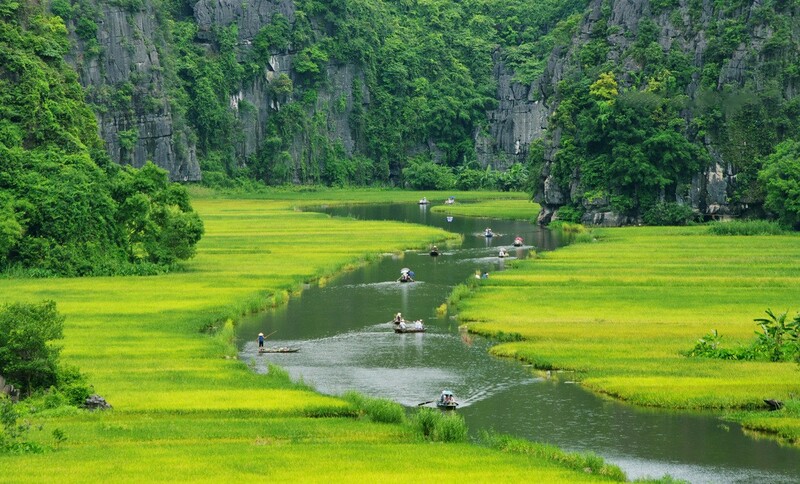 Vietnamese culture is complex, diverse and represents something of a history lesson. The nation’s labyrinthine, teeming trading quarters are rich in indigenous crafts and reflect centuries-old mercantile. Ancient temples display distinctly Chinese influences in the north and Hindu origins in the south. Meanwhile the broad, tree-lined boulevards and grand state building that grace the capital date from the French colonial period. And it’s impossible to forget Vietnam’s pivotal position close to the epicentre of East Asian power and prosperity, for its cities skylines are defined by clusters of glass-and-steel corporate HQs and sleek luxury hotels.